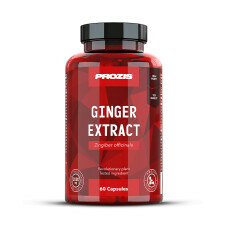 Ginger comes from the root of a plant named Zingiber officinale . Considered a spice, it is best known for its many uses in the kitchen. The root is also used in traditional Chinese medicine because of its interesting pharmacological and therapeutic properties. As an extract, it has been shown to have analgesic, anti-inflammatory, antiseptic, antioxidant, neuroprotective, cardioprotective and even anticarcinogenic properties.